DII basketball is seeing a brother and sister act second to none. Literally. Junior Daejah Bernard is the starting point guard for the undefeated Drury Panthers who repeated as No. 1 in the latest poll. Her little brother, freshman Diego Bernard, is the starting guard for the Northwest Missouri State Bearcats, also undefeated and atop the most recent rankings. There were question marks surrounding both programs heading into the 2018-19 season. The Bearcats lost three of their top four scorers in Justin Pitts, Chris-Ebou Ndow, and Brett Daugherty while Drury lost veteran senior scorers Alice Heinzler and Heather Harman. Diego jumped into the starting lineup on Jan. 5 and has remained a permanent fixture after averaging nearly 14 points per game since the move. Deajah has been the court general for the Panthers for the past few seasons and is amongst the best defenders in the conference. She’s second in DII with 3.86 steals per game and seventh in assists (6.3 per game). They’ve come a long way since playing on the same AAU team together. Both brother and sister were lured to their respective programs by some great coaches. 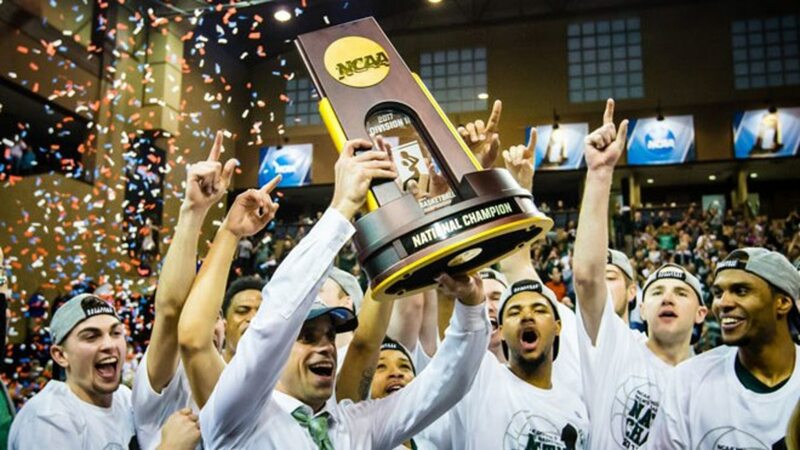 Northwest Missouri State's Ben McCollum had been watching Diego since he was a sophomore, and Daejah chose Drury after meeting coach Molly Miller, who has 16 losses in her four-and-a-half year coaching career. Just two years apart, the Bernard’s have gone from teammates to leaders at every level since their earliest days on a basketball court. We caught up to see just how well these two best friends know each other. Who can beat who in 1-on-1? Diego: I’ll probably score on her. But she’s got that lockdown defense. I don’t know, man. I consider myself more the scorer, but she’s got that defense though. I’m trying to get my game up to hers on the defensive end, she’s leading the nation in steals and has a lot of assists up there. She made me tougher growing up. What music do you listen to pregame? Diego: She listens to country. I’m hip hop or rap, I’m listening to something that will pump me up. Daejah: He told you country and that is not true. I personally listen to DMX. We grew up listening to DMX with my dad. We got really hip on some DMX songs. Diego: No, not really. We just go out there and play as hard as we can. Diego: Her’s, I don’t know that one. Mine, Russell Westbrook. Daejah: Basketball would be [Rajon] Rondo. When I was younger, I looked up a lot to Rebecca Lobo. His is Westbrook. One thing they agreed on was their greatest basketball achievement, yet another moment the two shared together on their successful climb up the ladder. Diego: Her senior year in high school she went undefeated and won a state championship. We both went to state. We [his high school's boy's team] came up short, but she won. Daejah and her Panthers have seven games remaining before the conference tournament. Diego and the Bearcats have eight. Whether they run the table and finish another perfect regular season, the Bernards are on yet another incredible journey in their sensational basketball careers.